The powerpoint is primarily introducing the varrious sounds of the vowel 'a'. It also revises colours and use of the pronoun 'this'. 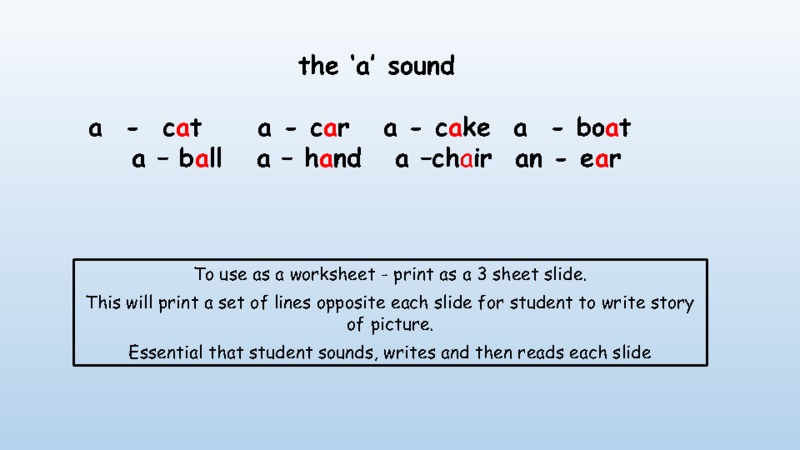 It develops visual, sounds, writing and reading. 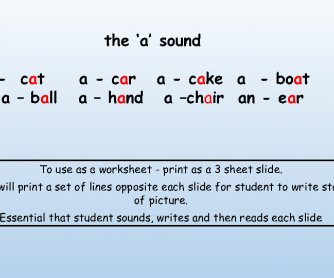 It can be printed as a worksheet with 3 slides on a sheet with lines opposite each slide for writing.